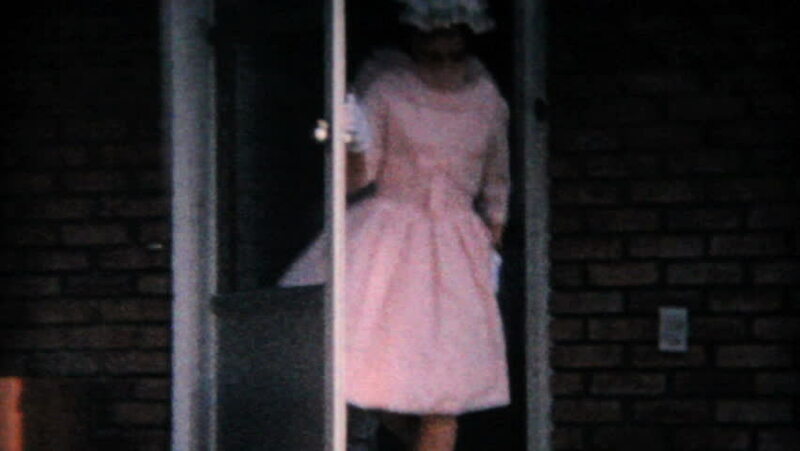 Moosic, Pennsylvania, 1964: A young teenage girls models her new pink Easter dress in front of her home in 1964.
hd00:14UNITED STATES 1960s-1970s : Young adults walking to places. 4k00:18A beautiful white dog is behind a grate and he is chewing something. hd00:261940s: Girl sits on bed wiping off feet. Girl grabs socks out of dresser drawer. Girl washes hair in sink in bathroom. Girl running on dock of lake.